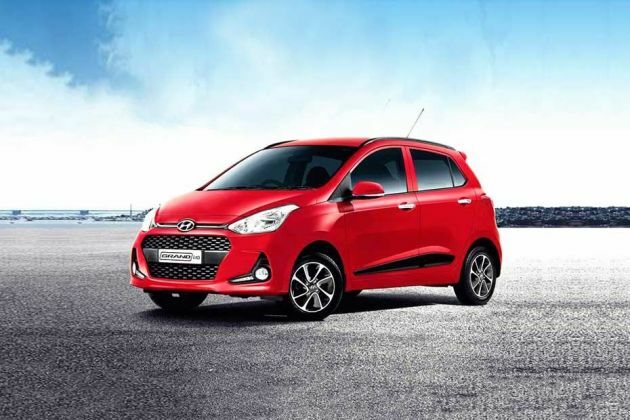 The Hyundai Grand i10 petrol automatic is available in two trim levels - Magna and Sportz (O) - which are the second and the second-last variants in its lineup, respectively. The Hyundai Grand i10 1.2 Kappa Dual VTVT Magna automatic is priced at Rs 6.03 lakh (ex-showroom New Delhi, as of May 11, 2017). Speaking of the features, the Grand i10 Magna automatic comes with central locking, front fog lamps, manual air conditioning with rear AC vents and all-four power windows. Also offered are electrically-adjustable outside rearview mirrors and front intermittent wipers. As far as safety is concerned, the Grand i10 Magna automatic comes only with a driver airbag (standard across the range), while ABS (anti-lock braking system) is not offered at this trim level. The Magna automatic trim rides on 14-inch steel wheels with 165/65 cross-section tyres. The 1.2-litre motor in the Grand i10's petrol automatic version produces 83PS of max power and 113Nm of peak torque and is mated to a 4-speed automatic transmission. The ARAI-certified fuel efficiency of the Hyundai Grand i10 1.2 Kappa Dual VTVT automatic is 17.49kmpl, which is roughly 2.28kmpl less than its 5-speed manual counterpart. The Hyundai Grand i10 petrol automatic goes up against the Maruti Suzuki Ignis 1.2 petrol AMT, Honda Brio AT and the Nissan Micra CVT among others.